The launch of the new gTLDs is gaining momentum. We are regularly updating our launch timetable, which lists the imminent launch dates with a link to more information about each new gTLD. We encourage trademark owners and clients to visit the timetable (accessible here) to make sure they secure their trademark as a domain name during the Sunrise (trademark priority registration period). 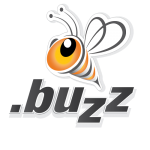 One of the next new gTLDs to launch is .buzz. The operators of .buzz describe their gTLD as "The mission and purpose of the new .BUZZ top level domain is to provide registration space for registrants seeking to label their Internet-based content as noteworthy and as what's happening right now. Creating buzz around a brand, product, service, news, event or location is the goal of advertising and marketing professionals. Create buzz and everyone is talking about you." Social media is now an essential part of business operations requiring trademark owners to react to social interaction via the various social networks (e.g. Facebook, Twitter and Linkedin). .Buzz could be used to facilitate social interaction with clients and customers. At the very least, it should be registered for defensive purposes. Register your .buzz domain name with Lexsynergy. Launch date is 15 January 2014.